Pro bono service is a core value at Jenner & Block, woven into the firm’s traditions and culture, and our program is unique in its depth and breadth. 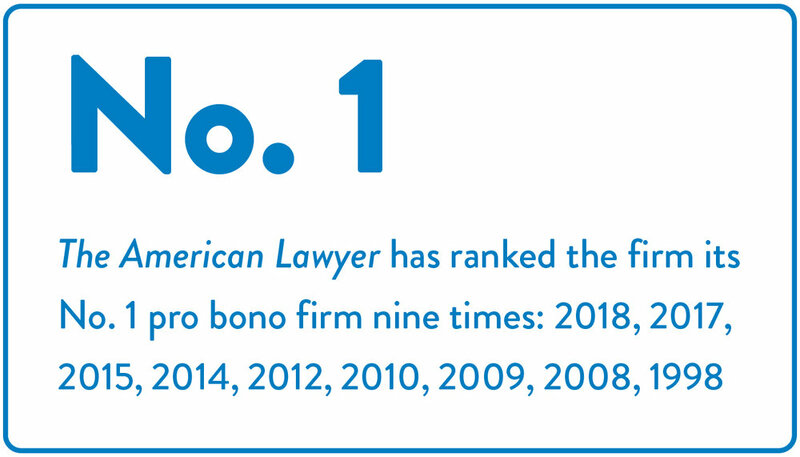 Numbers do not tell the whole story, but they do reflect the firm’s tremendous commitment to pro bono. Rather than focus on one or two signature projects, our lawyers are encouraged to seek out cases that interest them. The firm does not limit the amount of pro bono work undertaken.